Once again, Cruz controls the fate of the Giants. 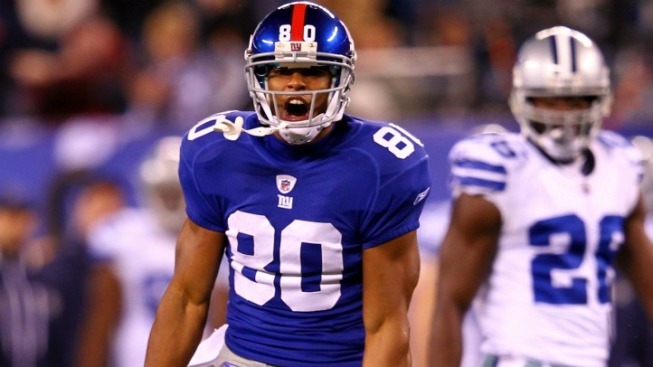 Anyone who thinks superheroes don't exist in real life hasn't seen Victor Cruz play this season. For the second straight week, a sputtering Giants offense looked to Cruz for a huge play that swung the momentum of a game and led them to a victory they had to have to keep their playoff dreams alive. And, for the second straight week, Cruz delivered the play and the win to Big Blue. After the Giants had handed back two-thirds of their 21-0 halftime lead to the Cowboys, they faced third-and-seven from their own 28 with 8:35 in front of a crowd that had been shocked into silence by the abrupt change in the game. Eli Manning avoided the pass rush, stepped up and heaved a ball all the way down the field where Cruz outjumped Orlando Scandrick to haul in the pass and send the Giants to the playoffs. The 44-yard catch only led to a field goal, but it stopped Dallas' momentum cold and put the Giants back up by two scores with time running low. Cruz had a 20-yard catch later in the drive, a 74-yard touchdown in the first quarter and 178 yards overall, but no play was nearly as big as that third down conversion that put the Giants in the playoffs. After a dominant first half featuring more of the kind of defense that we saw against the Jets, the Giants went totally flat for the first 20-odd minutes of the second half. The offense couldn't move the ball, the defense was getting pushed around and they were one play away from trying to stop the Cowboys from tying the game. You'll hear a lot about Manning's play and the resurgent Giants defense in the days following this 31-14 win, but, as good as both were, the night and, increasingly, the season belongs to Cruz. He has been the one non-Manning player that's consistently and constantly made plays for the offense this season and he made one when the season was once again slipping onto the brink on Sunday night. The win gives the Giants the division and a date with the Falcons next weekend, but it also gives them a chance to press a big reset button on their entire season. All of the inconsistencies, the sloppiness and the missed chances of this season no longer matter because the 16-game marathon has turned into a sprint. No one cares how you got to the playoffs once they get underway, they only care about what you do now that you're in the dance. The Giants have gotten there and that means everything that came before fades away into distant memory. People will reference 2007 and other improbable championship runs, something that seems awfully premature given how close to disaster the team danced against the Cowboys. But it is possible and that's really all that matters to the Giants at this point in time.